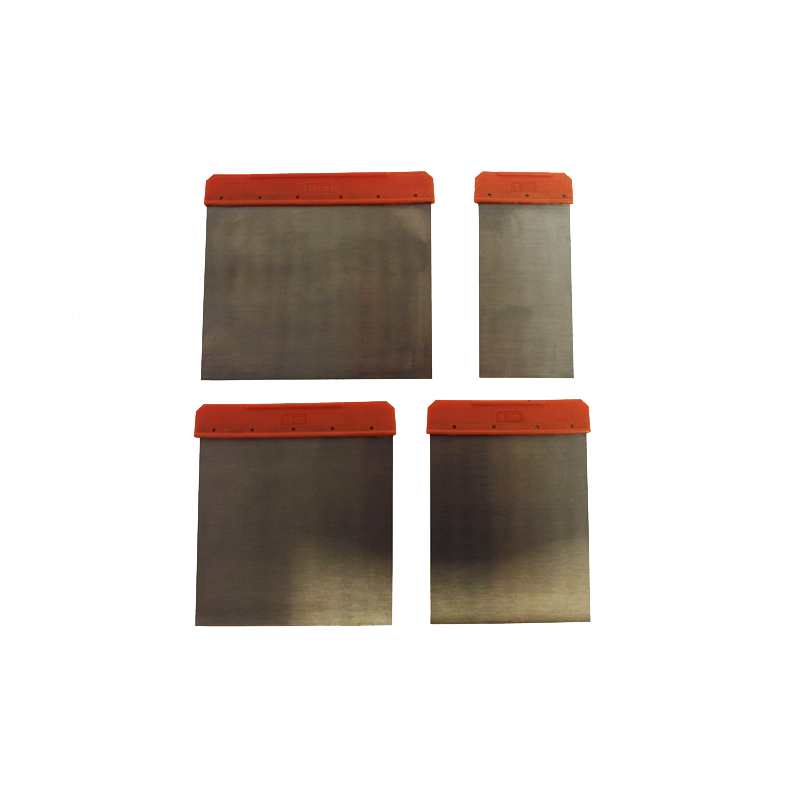 4 piece scraper set with plastic grip. Ideal for applying soft compound fillers. Most commonly used sizes included: 50mm, 80mm, 100mm, 129mm.